Here's a list of the top cheap LED TVs from Samsung, LG, Hisense and more. There are many types of TV: Plasma, LED, oLED - of which you can find them all here - but this page is specifically about LED TVs. Deals found by our members from the UK's leading online retailers (and some offline such as Richer Sounds). If you have any questions just pop them in the comments. Upgrading or creating your home theater setup comes down to one question most of the time and that is what kind of TV to get. While there are numerous types of TVs in the market today like, Smart TV, HD TV, OLED, LCD TV, 4K TV and more, one of the terms that come up pretty often is LCD TV. The world of TV is looking better and better each day, but also even more confusing than ever wide array of TV types and models. Today, we’re going to have a quick look at LED TVs to help you if you’re in the market for a new TV set. But first…let us answer first the second question that’s probably going through your mind when on the hunt for finding the perfect TV for you and your family. 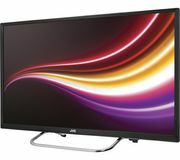 Where can I get cheap LED TV in the UK? Here at Latest Deals, we have cheap LED TV deals, sale, price drops, offers, discount codes and voucher codes from major online retailers such as Argos, Asda, Amazon, Tesco, eBay just to name a few. Our savvy community of bargain hunters are always on the lookout to find the best possible deals around to ensure you will only get amazing discounts both online and in-store. You can find a wide selection of cheap 32 in TV in Argos from popular brands like Samsung, Hitachi, Panasonic and LG. They often have clearance sale on selected LED TV where you can save as much as £30 with free delivery. They also have LED TV deals on other screen sizes where you can get as much as £299 discount as well as great new price on selected brands and models. If you’re looking for a cheap 40 in LED TV, Tesco offers one of the best prices online on top of a £60 discount on the Blaupunkt 40 in LED TV. You can also save as much as £477 on select LG smart LED TV. While Asda carries Polaroid, a budget-TV brand and they also offer discounts for as much as £100 on select screen size. For fantastic LED TV deals, Currys is a must visit. You can find a cheap 40 inch TV Smart LED here for under £300. Plus they offer up to £200 cashback on selected LG, Samsung and Panasonic TVs. 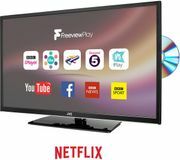 In addition to free delivery, you can also get up to £300 discount on some of their LED TV deals. They also have bundle offers that you can take advantage of. For example you can get £100 off marked price on the Xbox One X when you purchase a selected TV for the promo. You better hurry though when you spot offers like this at Currys since you can only avail this while stocks last. A LED TV is a type of LCD TV that uses light-emitting diodes, hence the name LED, to backlight the TVs display instead of the cold cathode fluorescent lights or CCFL being used in regular LCD TVs. LED is properly called LED-backlit LCD TV. Just like an LCD TV, it uses liquid crystal display or LCD panel in order to control where the light is displayed on your TV screen. These panels are normally composed in two sheets of polarizing material and in-between them is a liquid crystal solution so that when an electric current passes through this liquid, crystals will align so that light can or can’t pass through. Edge-lit LED. This is the most commonly used technology wherein white LEDs are positioned around the TV screen’s edge and a diffusion panel is employed in order to illuminate the display evenly. These are very thin as well. Dynamic RGB LED. These are placed behind the panel and makes it possible to target areas for more precise dimming, which in turn leads to truer reproduction of blacks and whites. Fullp-array LED. LEDs are placed behind the TV’s panel just like the way they are with RGB LED displays. However, there is no capacity for localized dimming. Quantum dot-based LED. It enable LED TVs to rival plasma and OLED with regards to image quality. LED TVs uses less power as well as produce less heat compared to plasma and other LCD TVs. RGB LED are brighter, sharper display and has a better contrast ration than other LCD TVs while edge-lit are thinner. However, they are more expensive. What are OLED and QLED? An OLED TV is not under the LED TV category. OLED or organic light-emitting diode displays uses a panel of pixel-sized organic compounds that respond to electricity as opposed to LED lights. This lets both better per-pixel accuracy and deep contrast rations in the images. Most of the time OLED displays are placed on high-end TVs instead of LEDs, but that does not mean that LEDs do not come with their own superior technology as well. This is where QLED comes in, which is a Samsung’s premium tier of LED LCDs. But, it features an updated illumination technology over your regular LED LCDs in the form of Quantum Dot material hence the Q in QLED. This technology ups overall efficiency. This leads to a brighter and better grey scale and colour as well as enhances the HDR technology of Samsung. Screen size. Whether you want a basic or high-performance TV, one of the biggest factor in your decisions will probably be the size of the TV’s screen. Consider how many people in your household usually watch at the same time and where you’ll be putting your new LED TV. Pick the largest screen size that will comfortably in that space and your budget, of course. Screen resolution. Resolution describes your TV picture’s sharpness and it’s normally in horizontal lines of pixels. Manufacturers today are quickly shifting from HDTV to Ultra HD sets or more commonly known as 4K. These models have four times more pixels as current HDTV screens. Although picture looks great, 4K broadcast, cable channels and streaming options are still a handful. So basically, full HD 1080p is still the most common screen resolution used today. Refresh rate. This is typically expressed in Hertz (Hz) and describes how many times per second a picture is refreshed on your TV screen. The standard refresh rate is 60 times per second or 60Hz. But when it comes to scenes where objects are rapidly moving, a 60Hz refresh rate can make things jittery or blurry. Remember, when it comes to refresh rate, the faster the better. Connections. Make sure to pay attention as to how many HDMI inputs a LED TV has. Some manufacturers offers fewer HDMI inputs on the back in order to cut costs. You can used up these ports quickly, especially if you’re setting up a home cinema and a gaming hub. Put a Roku, gaming console and soundbar and you’ve already used 3 ports.